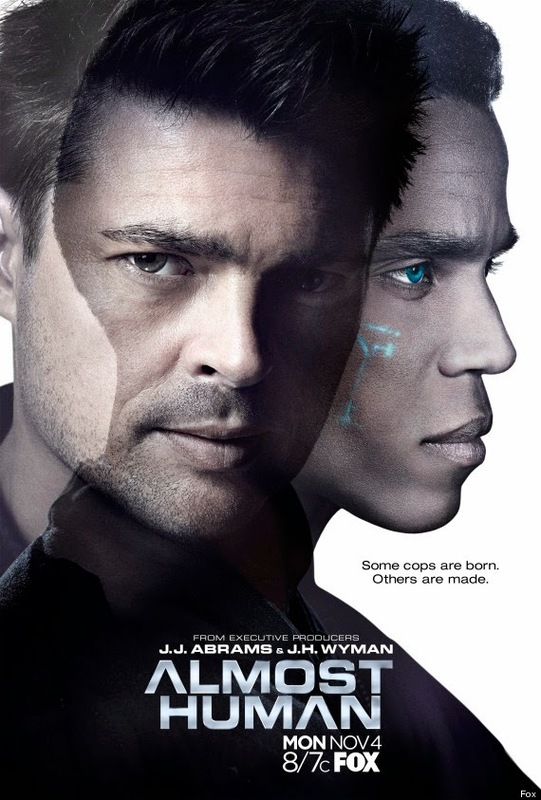 FOX’s sci fi buddy cop series Almost Human aired its third episode on Monday and and saw its ratings drop yet again. The latest installment slipped to a 1.9 score in the 18-49 demographic with 6.6 million total viewers. That drops the show below the 2.0 threshold and at first appears to suggest a tenuous future for the show. But it gets a bit of a respite for the moment because this is Thanksgiving week and a typically low viewership time for the broadcast networks. Most all of the Monday shows were down including AH‘s lead-out series Sleepy Hollow which dropped to a season low of a 2.2 rating with 5.8 million total viewers. It’s possible that Almost Human‘s numbers could go up next week, but then December is a typically low viewership month as well (and thus the reason most shows go on hiatus). The late start that FOX gave this show did it no favors and may hurt it from building up an audience going into mid-season. I’m putting it at a Moderate Cancellation Alert status for now, though we may not get a good gauge on the show’s health until January. The 50th anniversary episode of the Doctor Who aired on Saturday night and set the Guinness Record for the largest simulcast of a TV drama as it went out to 94 countries. It also enjoyed it largest audience in Britain in years, pulling in 10.2 million total viewers. Plus, it was the Number 1 show tracked on Twitter and Tumblr and set a record for BBC America pulling 2.4 million total viewers. All that attention helped out the premiere of new series Atlantis which followed the anniversary special and pulled 840 thousand total viewers which is a strong number for that cable channel. Unfortunately, my main ratings source TV by The Numbers does not typically track Saturday cable ratings so it will be difficult to get reports on that show in the coming week. It’s renewal is dictated more heavily by its performance in its home country, though, so those numbers are not quite as telling. In other ratings news, The Walking Dead slipped again on Sunday to “only” a 5.7 rating in the 18-49 demo with 11.3 million total viewers as the Governor-centric episodes have not seemed to be as popular as those focusing on the main group at the prison. But then the series took a similar track to this last season before seeing its numbers jump with the mid-season finale which arrives this coming Sunday. Over on Lifetime, The Witches of East End rose a tick to a 0.6 rating with 1.5 million total viewers. That show received its second season renewal announcement last week which was pretty much expected. On Friday, The CW’s Nikita returned for its final six episode season and raise your hand if you were one of the handful of people who tuned in for the premiere. That series sunk to a low of a 0.2 rating in the 18-49 demo with only 700k total viewers which I believe has to be one of the lowest premieres ever for a scripted series on the broadcast networks. No matter, it’s wrapping up after these six episode anyway. Also on Friday, ABC’s The Neighbors stayed low at a 0.9 rating with 3.9 million total viewers and I still believe it will be off the air by the time mid-season kicks into full gear in January. Also on Friday, Haven pulled another tepid 0.4 score with 1.5 million total viewers as that winds down its current season and faces a very uncertain future. On Thursday, The CW’s Vampire Diaries had another strong outing for that network as it pulled a 1.3 rating in the 18-49 demo with 2.7 million total viewers and ranked third place in its 8 PM EST timeslot. In last place in that hour was ABC’s Once Upon A Time in Wonderland which again pulled only a 0.9 rating with three and a half million total viewers. That one will get kicked out of this timeslot in January with no word yet on where it will land to burn off its remaining episodes (as I mentioned last week, consider it and NBC’s Dracula de facto cancelled). I will not be putting up my regular Friday post this week covering the Tuesday and Wednesday shows, but look for a catch-up post on the weekend and I will try to get numbers on the Cancellation Watch Twitter Site as time (and connectivity) allow over the next few days. You can see the current status for all this season’s genre show at this link. And for more information on the ratings numbers and how I determine the Cancellation Alert status of a show, see the Cancellation Watch FAQ.